I never pass up the opportunity to look awesome (and neither should you! ), which is why I was stoked when the cool peeps at Brainstorm Gear contacted me to let me know about their cycling apparel line. 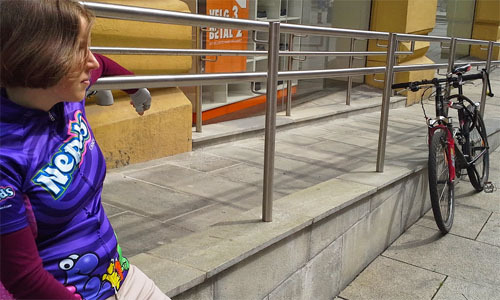 If you’ve been on this site before, then you already know that I love novelty cycling tops, and Brainstorm Gear has some nice options that I haven’t seen anywhere else. So, when the kind people there offered to let me test out one of their jerseys, I jumped at the chance to review it. As a child of the 80’s, I got pretty excited as I looked through the different designs that Brainstorm Gear offers as they include things like Ghostbusters! You can view all of their current selection on their site here. 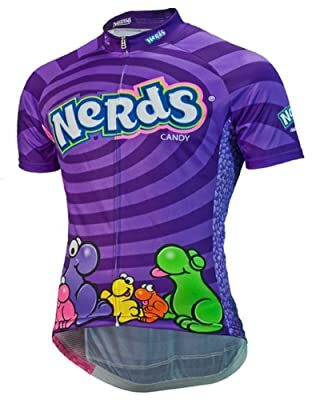 I was lucky enough to get the Nerds candy jersey (probably my favorite of theirs), which reads “Ride Like A Nerd” on the back – pretty cool, eh? The Sesame Street ones are probably my other favorites, but I urge you to take a look at each design that they offer. Like pretty much any type of clothing that you buy (not just active wear), you can run into problems when trying to determine which size is the best for you. The Brainstorm Gear site has a nifty little table for you to use to ensure that you get a proper fit – find it here. The important thing for you to know is that they offer jerseys in the club-cut fit. this is a small, local company based out of Oregon, which is cool if you want to support local and small businesses. How Does A Brainstorm Gear Jersey Hold Up? In June, I left the U.S. to spend a fun and active summer in Europe. I wanted to be outside and active as much as possible, but I also wanted to limit the amount of luggage that I had to keep up with since I would be changing locations regularly. So, I took a rather minimalist approach to what I packed. 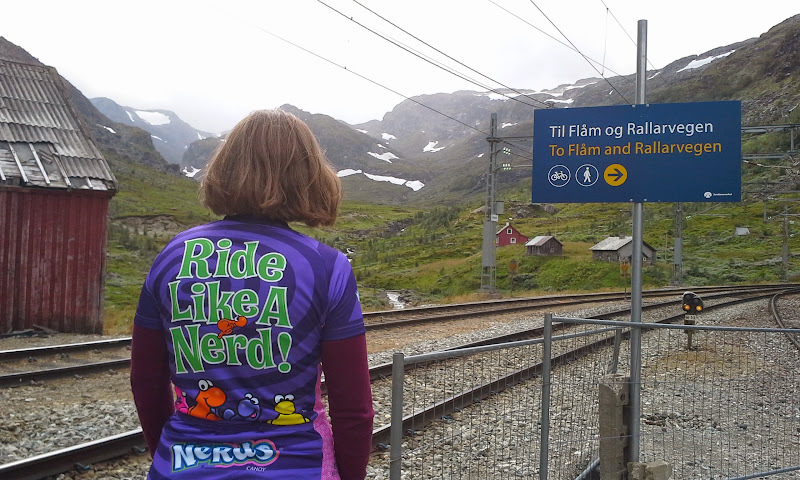 This means that I packed my new Nerds cycling top for when I was out on a bike….as well as when I was hiking, running or just needed a top to go over my swimsuit. As you may imagine, I put a lot of use into this jersey in a short period of time (10 weeks total). Why did I choose to take just this one shirt for all my active adventures? Because it is moisture wicking and the fabric offers some UV protection (very important for me since I burn easily in the sun). I admit that this was a risky move for me since I had no prior experience with this company or their gear. The best case scenario would be that this top would be exactly as advertised and I would look cool in the process of staying cool and free of sunburn. The worst case scenario is that I would look cool, but be sweaty and sunburned. getting manhandled by the TSA at a security checkpoint when leaving the U.S.
And I may have ended up sleeping in it one night when all my other clothes were damp from the washing machine and drying on a rack (there is a serious lack of electric clothes dryers in Europe!). Final verdict: Didn’t end up super sweaty and sunburned, so it was a success! It also has a comfortable fit, which is important cause you want to be able to move around freely while wearing it. It also wasn’t that bad to sleep in…except the zipper was a little cold at first, but fortunately I was in Spain where it was quite warm so it wasn’t too bad. And this thing somehow manages to still look brand new. Sure, it’s a miracle that I haven’t spilled a smoothie or green juice on it, but even with all the wear and washings (and sea water and sand), it still has a nice vibrant color with no visible fading. While I have only good things to say about this product, I do usually like to see the option of a long sleeve version. One reason is to prevent sunburn, which is why I’ve started wearing sun sleeves when cycling or hiking. Another is that I like to be active outside even when it’s cold. In fact, when I was in Norway over the weekend, it actually started snowing not too long after I got off the train in Myrdal. So, my sleeves and jersey were not enough to cut it with such cold temperatures and I had to change into a thermal shirt, which is not ideal for being active (no moisture wicking with it) but definitely warmer. So, if you primarily wear long sleeve cycling tops, this is definitely something to keep in mind. There may also be some other online shops and local retailers who offer this brand, so check around if you prefer to shop elsewhere. Prices are typical for this type of active apparel with a cost similar to other novelty jerseys. Yeah, it’s a little on the higher end of normal since you can find a lot of other popular brands at around $60, however I think you’re probably paying a little more for the licensing of all those cool designs like Ghostbusters, M&M’s, Sesame Street and Star Trek on your jerseys. So, overall it’s a good value if you’re a fan of those things. They offer both men’s and women’s jerseys, which is important to note since you can’t always find gear that fits women. In fact, I’ve seen gear before that I’ve loved and would have bought if it was available in women’s sizes. So, if you’re a cool cycling chick looking for some new cycling threads when you’re on your bike, definitely check their selection out. Disclaimer: I received this product for free in May, however it did not bias my opinion on it. I have been testing it out since June and my review above is 100% honest and based on my experience using this product during that time period.